When you decide to purchase your log cabin kit from Southland Log Homes you will be sure to get a log cabin home that will be durable and constructed from the highest quality materials. 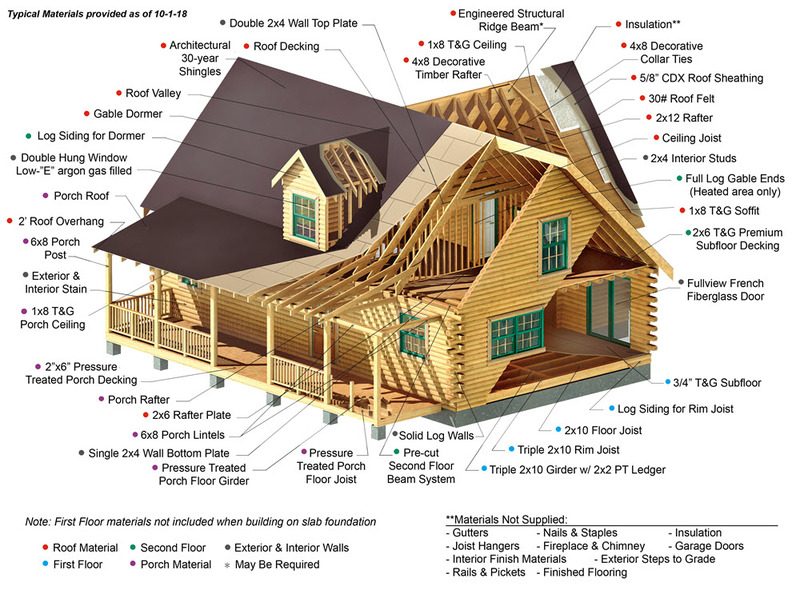 Our Southland log home kit comes with everything you need to make your home “weather tight”. Southland Log Homes can custom design your dream log home or you can choose from hundreds of log home plans as inspiration. 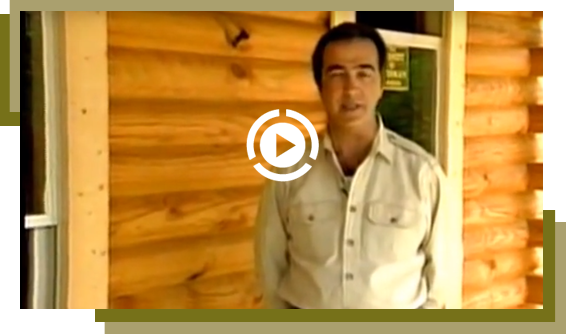 Our customized log cabin and log home kits contain only the highest quality materials. The craftsmanship of our precision milled log walls and premium materials sets the standard for the log home industry. 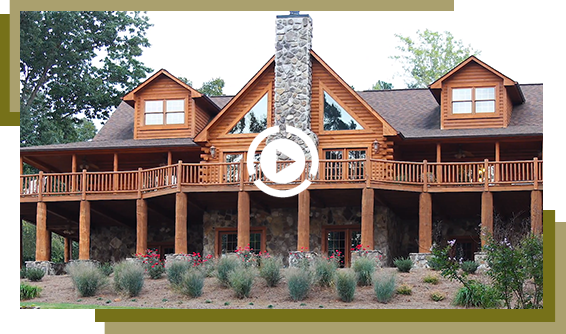 Quality and value are the foundation that Southland Log Homes is built upon, which is why we are America’s Favorite Log Home™. Every Southland log cabin kit is precision cut in our mill, not on your job site. Each log is numbered and notched, which can save you weeks of valuable construction time. Every log in a Southland log home kit is placed in a high temperature dry kiln, which lowers the water and moisture content from the logs. This greatly reduces the opportunity for shrinking or settling. Southland logs are up to 12” thick, which provides more wood than most other log cabin kits. This not only looks better, but also saves money on your energy bills. Log beams spaced 24” on center give your log cabin kit superior structural strength and beautifully highlight the attractive tongue and groove ceiling. Wherever you have heated space we use full logs to maintain the energy efficiency of your log home wall system. We use log siding at the attic level or by special request. Your Southland log home comes with full log porch posts and lintel supports for your roof system. Floor joists spaced 16” on center with premium sub-floor materials are standard. Upgrades to floor trusses or engineered joists are also available your log cabin kit. Roof systems include rafters spaced 16” on center either conventionally framed or roof trusses depending on your log cabin kit design. All Southland logs and siding are treated with a natural salt solution, which preserves the wood while giving it lasting protection. Timber beams and tongue & groove decking create spectacular cathedral and sloped ceilings. We use only the finest timbers for all log cabin kits. Each log is individually graded under the expert direction of Timber Product Inspection, Inc. to assure that only the highest quality logs for our log homes. Every Southland log cabin kit comes with base logs for each floor that are already grooved for electrical wiring. This saves much time and labor on your job site. 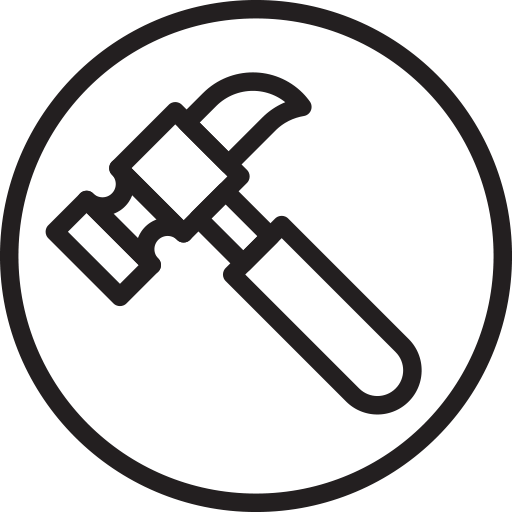 Engineered steel fasteners require no pre-drilling or counter sinking. The patented thread pattern gives each fastener more pulling power than other fasteners, and because there is no need to pre-drill, this system can save up to 25% of log stacking time. Every Southland log cabin home includes top quality exterior and interior wood finish to protect your home and keep it beautiful for years to come. Our specially formulated Southland caulk matches the finish of the logs. Log siding to cover the girder sill plates and the roof dormers is included in the log home kit. This maintains the log look without having to make special foundation or roof adjustments. Southland exterior doors come pre-hung, with low-E argon filled glass panes standard for every log home. Southland’s wood windows come standard with exterior vinyl cladding, removable grills, and screens factory installed. These windows are energy efficient with low-E argon filled glass to provide excellent insulation. A Southland log cabin kit can be designed for a variety of foundation types, including crawlspace, slab, basement or pilings.